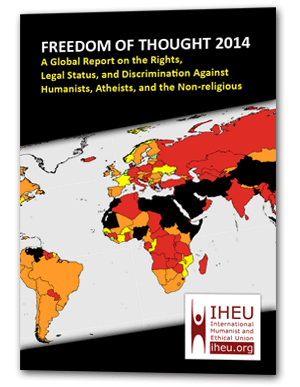 In a very welcome gesture, authors and supporters of freedom of expression, including Margaret Atwood, Salman Rushdie, and Yann Martel, have written in protest at the murders of three atheist bloggers in Bangladesh this year, and the apparent government failure to pursue justice. Speaking to the Guardian via email, Booker-winning novelist Martel explained that he added his name to the letter because of “the egregious nature of the offence … something must be done urgently”. 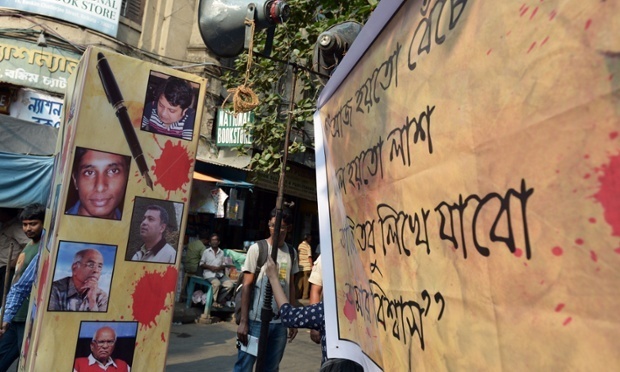 At least three other writers have been attacked or murdered in Bangladesh since 2013 and, although there have been several arrests, no one has been held to account for any of these attacks. We are gravely concerned by this escalating pattern of violence against writers and journalists who are peacefully expressing their views. Freedom of expression is a fundamental right under Bangladesh’s constitution and under the Universal Declaration of Human Rights. We call on the Bangladeshi authorities to swiftly and impartially investigate Das’s death as well as the murders of Roy and Babu, and ensure that the perpetrators are brought to justice in accordance with international fair trial standards. We also demand that the authorities do all in their power to provide protection and support to bloggers and other writers at risk in Bangladesh, in accordance with Bangladesh’s obligations under national and international law. In Afghanistan, there has been further sentencing in connection with the brutal murder of Farkhunda Malikzada, killed in in March after apparently confronting a mullah who was selling magical amulets to vulnerable women. The mullah then accused her desecrating the Koran. Her violent lynching at the centre of a mob of dozens of men was filmed by several people on mobile phones and sparked unprecedented protests across Afghanistan. Eleven Afghan policemen have been sentenced to one year in prison for failing to protect a woman who was lynched by a mob after being falsely accused of blasphemy. The verdict comes after four Afghan men were sentenced to death and eight others were handed a 16-year jail term earlier this month for the killing of 27-year-old Farkhunda. “You are sentenced … for negligence of duty to one year in prison,” Judge Safiullah Mojaddidi told the 11 defendants, who included senior officers, while eight other policemen were found not guilty. There is opportunity to appeal. But while the general direction of bringing attackers and negligent police to justice is obviously welcome, both the victim’s family and human rights groups have raised opposing concerns about the trial. 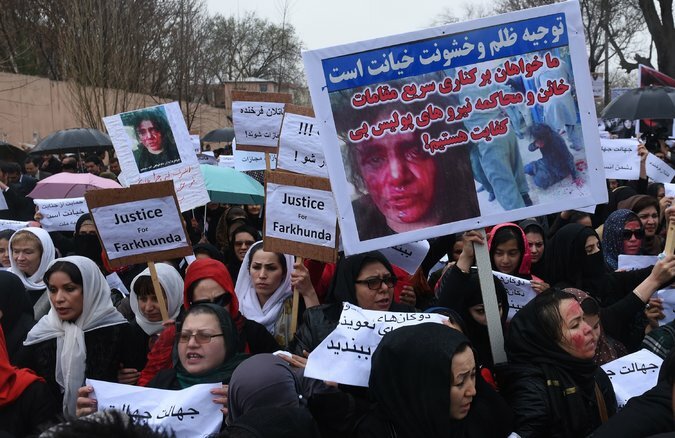 Farkhunda’s family said after the May 6 verdict that they were not happy with the large number of acquittals in a murder caught on mobile phone cameras and circulated on social media. “We have nothing more to say about this new verdict. We have already expressed our concern about the whole process,” Farkhunda’s brother Mujibullah said following the judgement. … The trial drew praise for its fast-track nature but also prompted worry over its fairness, with Human Rights Watch saying it was “very concerned” over whether due process was followed as many of the accused did not appear to have lawyers. “This trial leaves the impression that the Afghan government wants a quick and dirty process to get this case out of the headlines and move on — rather than real justice and a real examination of how such a terrible attack could have happened,” Heather Barr, a senior researcher with the group on women’s rights in Asia, said. The Committee to Protect Journalists (CPJ) has released a worldwide special report on the threat specifically to cartoonists, whose work – so easy to transmit, visualise across borders, and elevate to iconic status – has been at the centre of so many “blasphemy” accusations and violence in recent years. 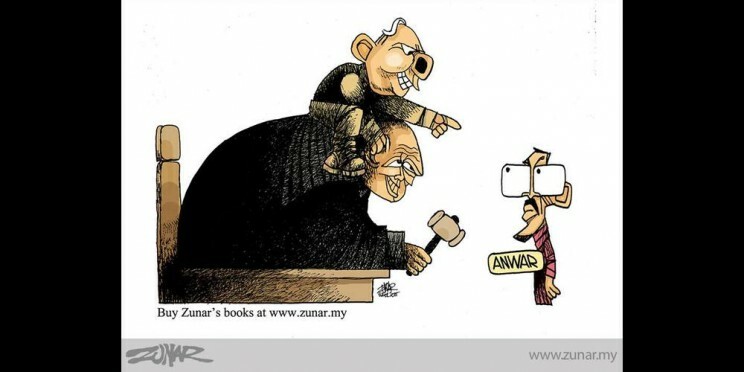 Whether their sketches touch on politics, economics, religion, or national identity, cartoonists face the same grave threats as print and broadcast journalists who report on sensitive subjects. CPJ global research shows that cartoonists have been targeted with censorship, punitive lawsuits, physical assault, imprisonment, disappearance, and murder for their art-form journalism. Some have even fled into exile to escape persecution. … For many cartoonists, that fluidity and reach has been a double-edged sword. Repressive governments and extremist groups have targeted those who parodied or portrayed the Prophet Muhammad, a criminal offense under blasphemy laws in many Muslim countries. Rising Internet penetration rates have allowed enemies of the press everywhere to more easily monitor and respond to cartoons they view as objectionable. The report is an excellent analysis of some of the broader problems faced by journalists and those specific to cartoonists, though the embedded slideshow full of examples and the report itself is strangely bereft of specifically “blasphemous” illustrations. 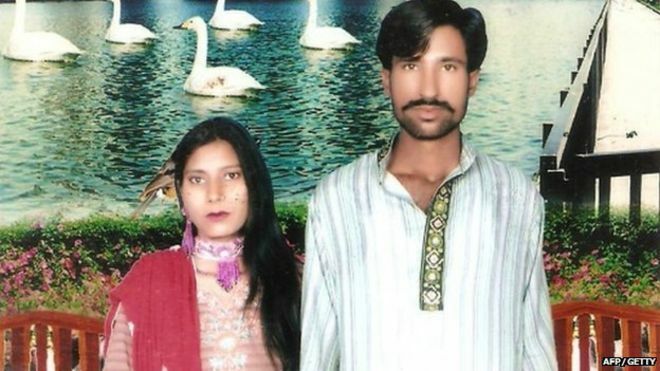 Three clerics and over 100 other people have been arrested, in the case of the murder of a Christian couple, Sajja Mesih and his wife Shama, who was pregnant, in Pakistan last year. The couple were beaten and burnt to death by a mob of around 400 people in Punjab province over allegations that they had “burnt pages of the Koran”. Some reports suggest a financial motive drove someone to whip up hatred against the couple, who allegedly owed money. The charge sheet produced by the Pakistan anti-terrorism court says the accused – three clerics – were involved in persistent provocative speech against the couple, according to local media. Thirty-two suspects are said still to be at large. Summonses have also been issued for witnesses to come forward. Meanwhile, the Supreme Court is considering the appeal case of Mumtaz Qadri, self-confessed murderer of Salman Taseer over the latter’s criticism of Pakistan’s “blasphemy” laws and associated violence and abuses. Qadri’s extremely tenuous and myopic defence was that since Taseer was criticising holy law he was himself a blasphemer, the punishment for which is death, and therefore Qadri was justified in killing him. Earlier this year, Qadri was found guilty, but spared the death sentence on “terrorism” charges. The Supreme Court – hearing two identical appeals against the March 9 Islamabad High Court (IHC) judgment accepting Mumtaz Qadri’s plea to annul provisions of the Anti Terrorism Act (ATA) 1997, from the case against him – also framed five substantial questions on Thursday [14th May], whose determination may well change the way blasphemy laws are applied in the country. …The federal government had approached the Supreme Court to re-include terrorism charges in the case against Qadri, while he had appealed for a reduction in the sentence. 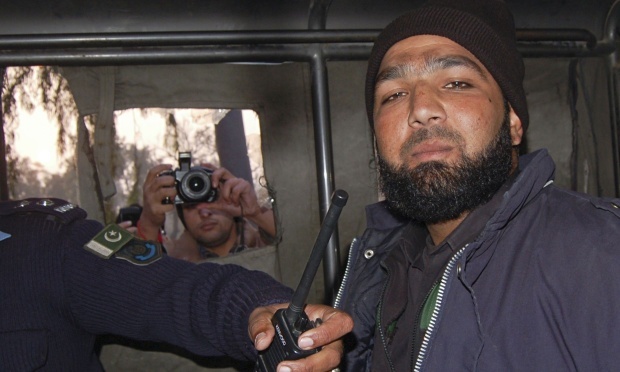 The case record of the trial showed that Mumtaz Qadri had admitted to killing Mr Taseer. At the time, Qadri’s counsel had argued vehemently that the murder was motivated by the fact that Mr Taseer had committing blasphemy under Section 295-C of the PPC. In this backdrop, the lawyer had argued, Qadri was justified in murdering the deceased. However, Justice Khosa, quoting from the trial record, went on to frame five questions for the court’s consideration. The court also noted that counsel Nazir Akhtar had cited two press clippings, including one from a Dec 23, 2010 issue of the monthly Newsline, which prima facie indicated that the blasphemy law was improperly applied in this case since the deceased did not, apparently, utter any word defiling the sacred name of the Holy Prophet (peace be upon him). Article 9 of the Constitution, which ensures that no one would be deprived of his life and property, would be relevant in this case, the court observed. It would be relevant in this context to consider, the court said, whether the deceased could be deprived of his life in a broad daylight while in the protection of Qadri. Would such a killing not offend religious injunctions and traditions, the court asked. And lastly, “If this court did not interfere in the case of the petitioner’s conviction, is there any mitigating circumstance available that warrants reduction in the sentence?” This may be relevant in the present context, when the petitioner has admitted that he had no personal enmity, but only acted on religious motivation, the court said. “These questions require the court’s consideration, therefore Qadri’s appeal is allowed and leave to appeal is granted,” the court observed. “Look at the implication of granting a license to kill if, in someone’s opinion, the victim had committed blasphemy,” the court observed and then went on to ask how the state should convict those who butchered people in the name of religion. “Forty-five innocent people were butchered in Karachi on Wednesday and the pamphlet left at the crime scene says exactly what you are saying,” the court observed, pointing towards the counsel. “Is this allowed by Islam,” the court asked. It seems the courts are taking the long approach, patiently explaining to religious fundamentalists that: no, you don’t have the right to arbitrarily assume the role of executioner even when you happen to think someone is guilty of a capital crime. Rights activists say that given the inflammable nature of blasphemy allegations, the life of the minister might be in peril… “The government should not tolerate those who have issued a decree against the respectable minister,” said Farzana Bari, a well known rights activist. “Every citizen has a right to freedom of expression,” she said, adding that efforts to curb expressing independent opinion should not be tolerated by the law enforcing authorities. In order to strengthen their criticism, the religious leaders are digging into the past of the information minister, once known for his left-wing politics, painting him as a person far removed from religiosity. Minority communities in Pakistan are thankful for their moderate friends from mainstream Sunni school of thought, for supporting them in these harrowing times. Countless have condemned the attacks against minorities, and many have risked their own lives to stand up for others. A British parliamentary candidate has complained of “religious intimidation” in her constituency during the recent UK-wider general election, after some Muslim voters were told that they were not ‘true Muslims’ unless they voted against her. The row centres over a local campaign- with apparent support across religious groups- for a blasphemy law. During the General Election campaign newly re-elected MP Fiona Mactaggart apparently resisted calls for the draconian measure, and when the result was announced she issued a stark warning about “spiritual coercion in one community”- in an apparent reference to Muslims in Slough. Ms Mactaggart said voters had been intimidated and that she wouldn’t ‘build bridges’ with those behind the smears. “I don’t see how you can build a bridge with someone who says ‘you aren’t a proper Muslim if you vote for Fiona’,” she said.